It’s hard to imagine a world without electricity. If someone could pull the plug on all electrical devises at once, the world would screech to a halt. While electricity is used everywhere we rarely give it a second thought. Even though we don’t think about it, electricity is still quite dangerous and requires your attention and respect. 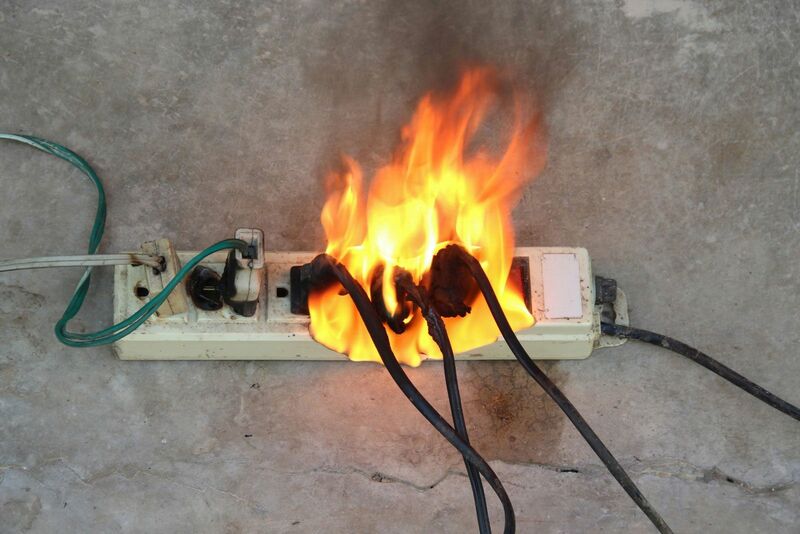 Electricity causes thousands of accidents, many fatal, and tens of thousands of home fires every year. A dose of electrical knowledge and forethought can go a long way when you add it to your plan to be safe. I’ve heard it before and I’ve even said it a few times, “A lack of planning on your part doesn’t make it an emergency on my part.” This holds true with household circuitry. When your living room was built 40 years ago, a couple of double plugs on a single 15-amp circuit was adequate to power a television and a couple of lamps. Fast-forward to the 21st century and your living room has a large flat-screen monitor, a satellite receiver, a DVD player, an amplifier, a computer, router, maybe even a radio, and with the holiday seasons fast approaching many of us will probably have a Christmas tree in there as well. Put the new technology into all your other rooms in the house and suddenly that 50- or 100-amp service drop that was installed when your home was built is no longer sufficient for your requirements. In fact, many homes could be pushing the limits even with a 200-amp service if they don’t have well-balanced branch circuits installed throughout. If you find yourself in this conundrum, contact a certified electrician to inspect and assess your specific situation. In the meantime, there are some simple recommendations to follow to help prevent compounding a problem or to lower the risk of an accident. If you have a fuse or circuit breaker that must be replaced or reset often, something is wrong and needs to be checked out. If it trips immediately after being reset, there’s a problem with the circuit. Don’t keep resetting the circuit hoping to get it to stick because there’s either an excess load on the breaker, or the breaker itself is bad. It needs to be fixed immediately to prevent a possible fire. If you plug it in, make sure there’s no damage to the cord or to the item where the cord is plugged in. If the cord is frayed or the case is cracked, it isn’t safe. If an item has a grounded plug (three prongs), don’t force it into a two-hole socket. Keep electrical appliances away from water. For example, don’t use a smartphone or tablet that is plugged into a charger while taking a bath. Don’t use extension cords as a permanent solution to a wiring problem. Also, ensure any extension cord you use is capable of handling the load requirement for whatever is plugged into it. Don’t run extension cords under doors, around corners or under rugs and carpet. And definitely don’t nail or staple extension cords into position! Avoid using adapters that allow you to plug more cords into the outlet than which it was designed. Cover unused outlets to block them from children. Pull the fire extinguisher’s safety pin. Sweep the extinguisher’s nozzle in a side-to-side motion until the flames are out. These tips are all especially important during the holiday season. The use of additional lights inside and outside, plus the need to power other decorations and maybe even space heaters, make this time of year more prone to house fires. Be sure to protect yourself, your family, and your valuables by following the simple tips mentioned above. Also consider keeping valuables in a home safe for protection in the unfortunate event that a fire does occur.